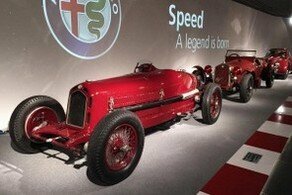 We live in the Italian Motor Valley and we are very passionate about cars! We want to share our passion with motoring enthusiasts like us: that's why we started organizing visits trough to the fabulous world of luxury and sports cars and trough the world's most famous and precious collections of classic cars. 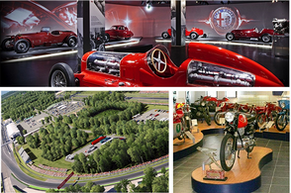 We offer private tours to the most famous Italian automobile production sites, museums and collections in Emilia Romagna and Lombardy, in the Milan area. 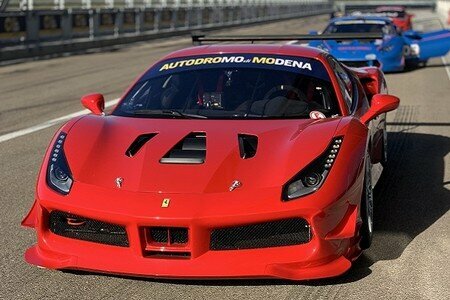 We also provide Test Drive with the most sought-after Ferrari and Lamborghini models, and shopping occasions at the Ferrari, Maserati, Lamborghini, Ducati and Alfa Romeo official shop. Our company will organize your tour from A to Z! We are equipped to offer customized tours according to the customers' requests and needs. Don't hesitate to contact us for more information. We offer you the opportunity to live a life in the "holy land of machines". Join us and live an unforgettable experience! 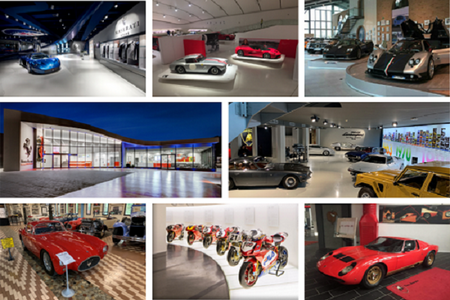 Emilia Romagna - the "Land of Motors" - is a world-class automotive production hub where some of the most legendary cars are designed and product. Passion, charm, quality and design, desire to win are key elements throughout the Motorvalley; the area offers a wide range of services and activities such as test tracks, circuits, museums and private collections. Along the Via Emilia, a historic road that crosses Emilia Romagna, the most famous motoring sites: the Ferrari Gallery in Maranello, the Lamborghini Motor SPA and its fascinating Museum in Sant'Agata Bolognese, the Ducati Factory and Museum, the Pagani Factory and Museum, the Maserati Factory and its Showroom, the Panini Museum which includes an exceptional collection of vintage Maserati cars.